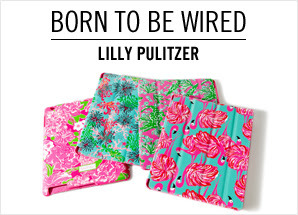 Preppy Pink Crocodile: Public Service Announcement: Lilly Pulitzer And Jack Rogers On Sale! Public Service Announcement: Lilly Pulitzer And Jack Rogers On Sale! I just realized that both Lilly Pulitzer and Jack Rogers are on Sale on Ruelala starting today! Hello match made in preppy sale heaven! I picked up a cute long-sleeve top from Lilly. Nothing too exciting but I can always use white tops and despite my denial, I strongly suspect fall...and gulp...winter...are in fact around the proverbial corner for us here in the North Pole. Did you pick up any treats today?